Starving for magnificent high culture in the Hungarian capital? We have just the thing to please you! 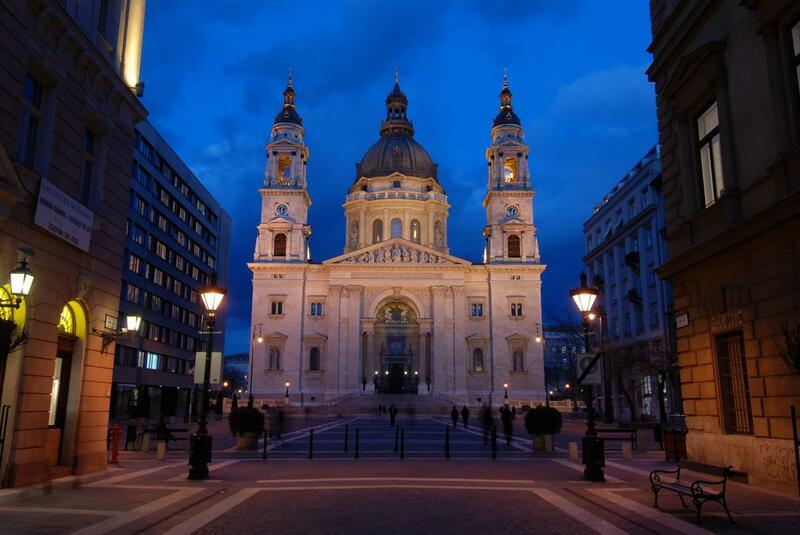 Let us lead you on a journey through the classical art scene of Budapest by introducing you to its most stunning (and largest) church on an evening to explore music and architecture with a fulfilling portion of the celebrated Hungarian cuisine. Indulge in a 70 minute performance in the 100 years old church and one of the most prominent icons of Budapest by celebrated Hungarian organ artist Miklós Teleki and his small ensemble of an award winning musicians. The Basilica, named after the first king and state founder of Hungary, is the largest building of Budapest, a holy sanctuary in which a concert experience takes on a whole new, spiritual meaning. Take part in this grand and intimate performance and enjoy music from the greatest Hungarian and international composers such as Liszt, Vivaldi and Bach presented by three amazing local artists on a truly authentic Hungarian evening. After the performance, you will meet your hostess in front of the Basilica to be lead on a few minutewalk towards the pier where you will embark on a stunning journey throughout the glimmering River Danube. The 90 minute dinner cruise will reintroduce you to the city’s most amazing sights by the riverbank such as the Buda Castle, the Matthias Church, the House of Parliament and the St. Stephen’s Basilica from a new perspective. Witness the most beautiful bridges of Budapest like the iconic Chain Bridge, the Liberty Bridge and the Elizabeth Bridge, dressed in their night gown of gleaming lights. Please all your senses and sample the most popular dishes of Hungary while being serenaded by talented string musicians from the Rajkó folk ensemble. Discover a whole new, enchanting side of Budapest and have an evening you will always remember!